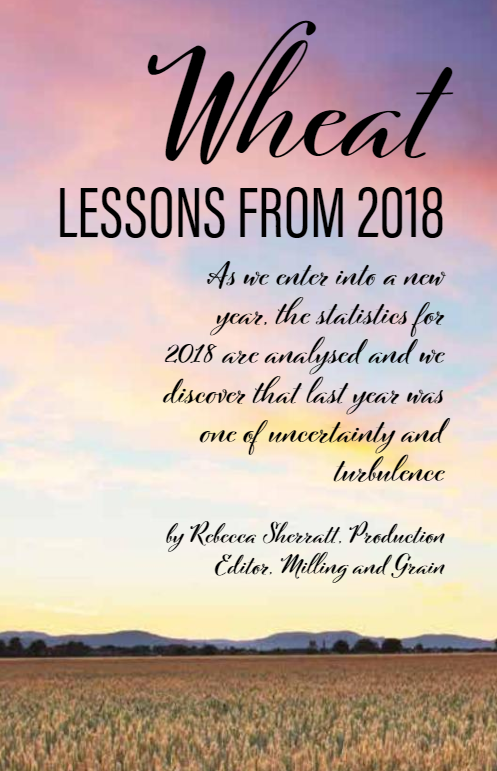 As we enter into a new year, the statistics for 2018 are analysed and we discover that last year was one of uncertainty and turbulence. Wheat production overall, in 2018, declined by an average of 28 million metric tonnes (mmt), and wheat feeding was reduced by 4mmt. 2018 was the fifth year in a row, wherein consumption of wheat rapidly outpaced production, an ongoing problem that is only continuing to expand as the global population increases so drastically. Production of wheat in 2018 came to 731mmt, compared to 2017, which saw 759mmt produced. 746mmt of wheat was used in 2018, compared with 2017, where 741mmt of wheat was used throughout the world. Wheat production, from country to country, varies significantly. Whilst globally, we saw a decline of 28mmt of wheat production, some countries had an increase in production, including the US (+4mmt) and North Africa (+2mmt). Other countries in the green include Kazakhstan, Mongolia, Brazil, Argentina, Peru, Bolivia, Algeria, Mali, Sudan, Kenya and South Africa. Countries that saw a decline in wheat production include Russia (-15mmt), the EU (-14mmt), Australia (-3mmt), China, Japan, Turkey and Sweden. Exports in 2018 also were subject to some remarkable changes, and these were not just limited to the US and China. Despite the trade-war between the two countries, North America still ended 2018 with +2mmt of exports and South America with +3mmt of exports. Other countries subject to increases in exports include Canada (+2mmt), China, India, Algeria and South Africa. Russia also saw a decline in exports by -6mmt, Australia by -2mmt and Ukraine by -1mmt. Others who suffered declined exports in 2018 include Mexico, Colombia, the UK and Tanzania. Some countries maintained relative balance with their exports, including Kazakhstan, Pakistan, Nigeria and Namibia. Global stocks-to-use for major exports, excluding the US, also come to a record-low level of 15 percent. This low statistic is somewhat worrying, especially when comparing it to 2009, when these numbers were as high and prosperous as 26 percent.